Discussion in 'General Banter' started by Zorg, May 8, 2013. 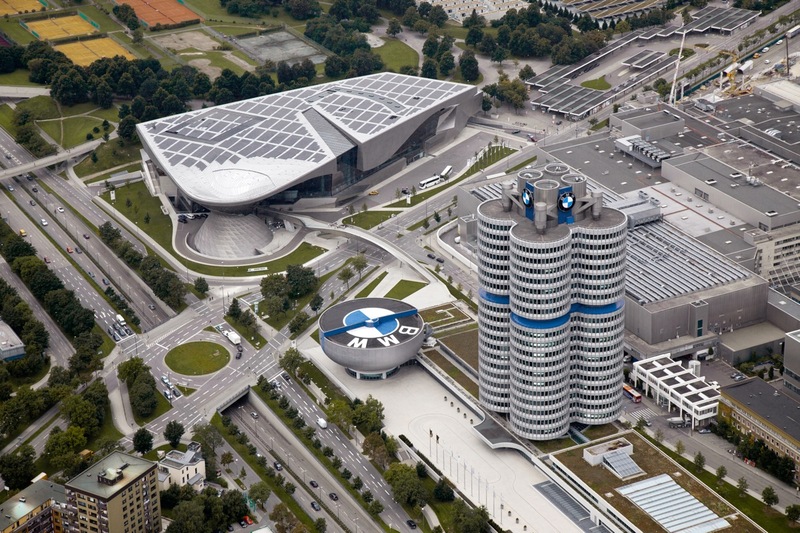 We all know they manufacture cars, but just how vast is the BMW Empire and how diversified is their portfolio? Welcome to part 2 of a 3 part series where we take a look at what makes the BMW Group one of the most successful companies in the world. Then, we throw in a dash of history for good measure and discuss the various companies that operate under the BMW umbrella as well as some of their strategic investments and programs. Without further ado, let’s begin this week’s exploration of the empire that is BMW. First independently opened in 1972 by Charles Pelly in Malibu Creek, California the design studio’s genesis had humble beginnings. With only three designers at first, the studio slowly started to get work from companies such as Hyster (American company specializing in forklifts) as well as from the Otis Elevator Company. The first collaborative efforts between Designworks and BMW occurred in 1986 when BMW approached them to design the seat for the E31 BMW 8 Series due to their extensive knowledge in ergonomics and seating design. Later on in the 90’s Designworks went on to work on projects for other big name companies such as Siemens, Nokia, Compaq as well as Adidas. 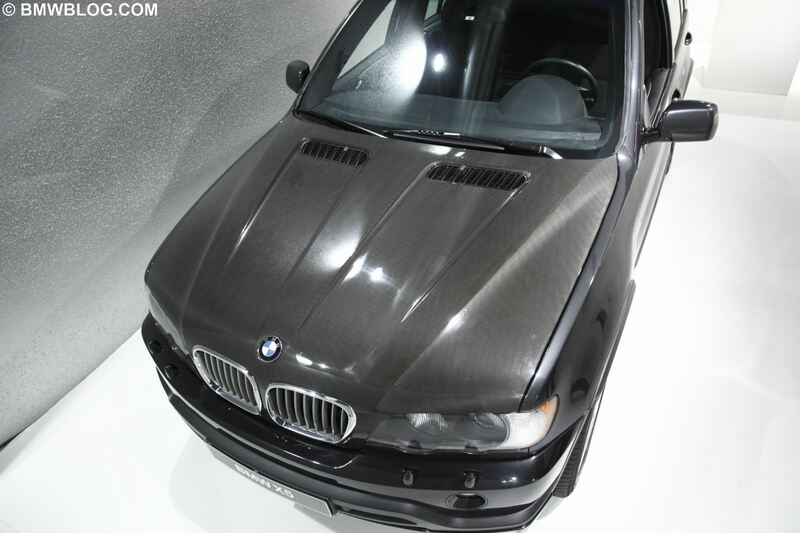 This caught BMW’s eye, who in 1991 purchased a large percentage of the company. This in return kick-started the studio’s first car exterior design in 1993 in anticipation for the creation of the E46 BMW 3 Series. Two years later in 1995 BMW purchased the remaining percentage of the company and in 1998 opened a studio in Munich, Germany. In 1999 BMW appointed Mr. Henrik Fisker as President. His name may sound familiar, as it should. Mr. Fisker is the founder of Fisker Automotive, former executive chairman of said company as well as the designer of the luxury 4-door plug-in hybrid said company sells known as the Fisker Karma. Mr. Fisker also penned the design of the E52 BMW Z8, Aston Martin V8 Vantage as well as the DB9. Today, with studios located in California, Munich, Singapore and Shanghai, BMW Designworks is a fully owned subsidiary of the BMW Group. They operate as a global creative design consultancy with its headquarters located in Newbury Park, California. But it doesn’t end with cars. In fact, BMW Designworks has extended their talents well beyond the automotive sector. They’ve left their mark on everything from the field of infotainment to lifestyle & leisure products, to workspaces and even recycling. What’s more, their designs have even taken flight as their talents have spiked the interest of some major players within the industry that once launched BMW into the “stratosphere.” More specifically, aviation. Big name aircraft manufacturing companies have approached Designworks at some point, seeking assistance in one form or another. 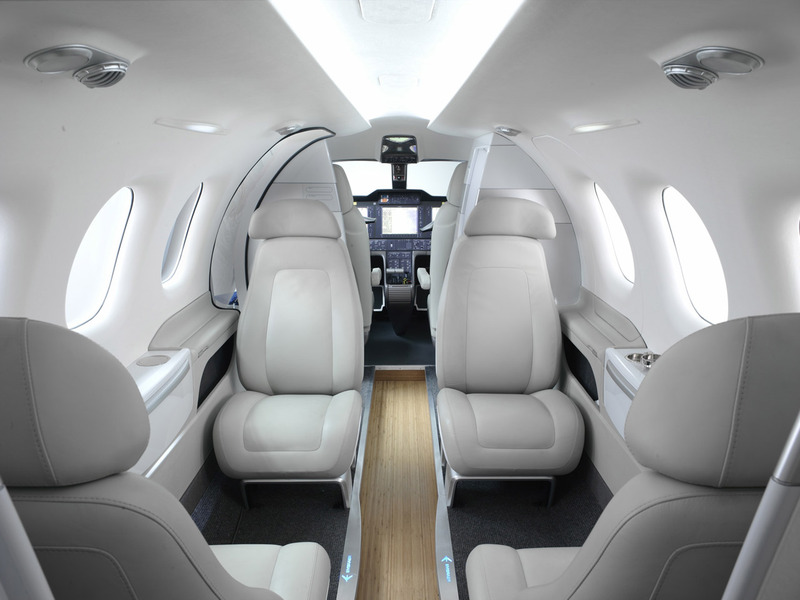 Embraer, a Brazilian aircraft manufacturer of luxury executive jets contacted BMW Designworks asking them to outfit the interior cabins of their Phenom 100 and Phenom 300 models to reflect a more modern and luxurious design-language. 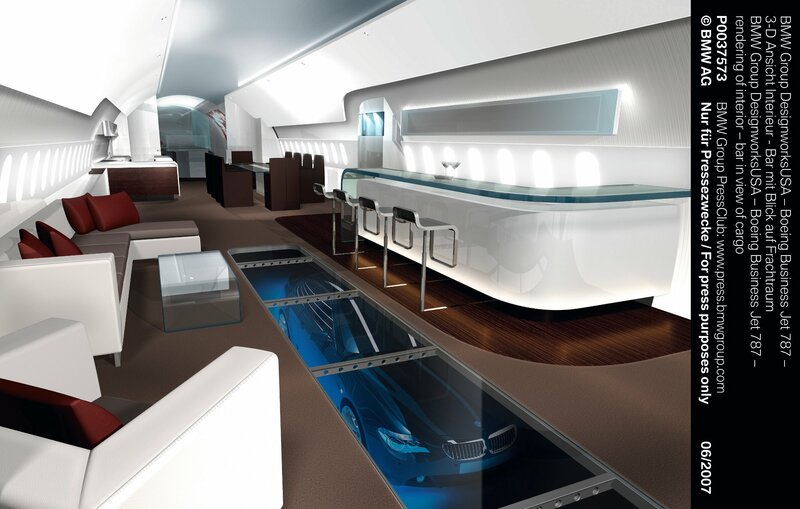 Boeing Business Jets (BBJ) also approached BMW Designworks seeking a concept design for their new luxury long-range Boeing 787 Dreamliner. BBJ was looking for a “luxurious intercontinental place to work, play and live.” The two-level design is quite impressive. Even Airbus couldn’t resist the magic BMW Designworks touch. In anticipation of the April 2006 Aircraft Interiors Expo held in Hamburg, Airbus commissioned BMW Designworks to construct a new mockup of the interior of their then new A350 twinjet aircraft. Clearly then, BMW Designworks not only lends its expertise to BMW but also to external clients who seek help with various brand communication, design strategy as well as product and concept related issues. 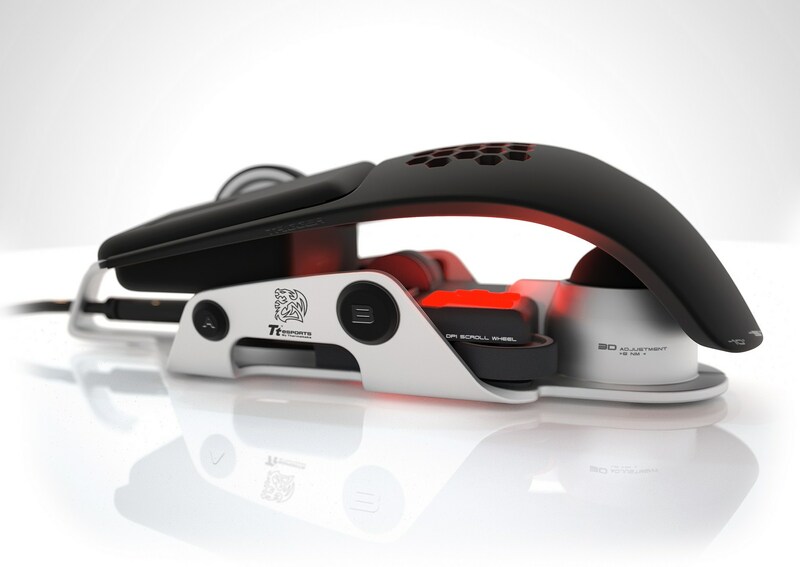 From creating the brand identity of the BMW/Sauber Formula 1 Team to collaborating with Thermaltake on creating an out-of-this-world professional PC headset and mouse, to outfitting the interior of your favorite private jet, cutting edge design and creative thinking has kept this division of BMW busy and at the top of its game. It’s no wonder then that artists, designers and engineers strive for a job at this respectable division of the BMW Group. Established in 1993 under the name “BMW Financial Services NA, LLC” as a subsidiary of BMW of North America, its primary role is to assist BMW NA with their sales and marketing efforts by offering its customers a range of leasing, retail and wholesale financing services. These offers apply to both new and pre-owned BMW cars, motorcycles and SUV’s and they are designed to make you the owner of your BMW of choice. Because lets face it, unless you’re loaded and are willing to drop cash money, you’re going to finance your dream BMW. With total assets in excess of $24 billion they are considered leaders within the automotive financing industry. You might be asking yourself “how does BMW Financial Services NA, LLC manage all of this money?” Well, the clear and only answer is, with their very own bank of course! BMW Bank of North America is yet another subsidiary that belongs to BMW of North America and has its operational headquarters located in Salt Lake City, Utah. As of December 31st 2012 BMW Bank of North America reported that it employs 36 people and cited total assets of some $9.5 billion. If you’re in the market and are looking at purchasing a new or used BMW, armed with this information, it would be a wise decision on your part to see how BMW Financial Services might be able to help you. Founded in 1992, the SGL Carbon Company is one of the leading manufacturers of carbon products in the world and has over 35 production sites spanning the globe. Its headquarters is in Wiesbaden, Germany. Its newest state-of-the-art production facility, which is still under construction in Moses Lake, Washington resides on a 60-acre plot of land and will cost $100 million upon completion. Once done and thanks to the latest technologies incorporated, the facility will be spinning out a staggering 3,000 tons of carbon per year and will be the most cost-efficient carbon fiber manufacturing plant (Jeremy Clarkson pause)…in the world. How does BMW relate to this? Two words: Strategic Investment. With vehicle emissions getting stricter, the strategic need for strong lightweight materials is becoming more and more evident. In my editorial entitled “Carbon Future” I go into greater detail exploring this subject. But for now, lets take a look at some juicy corporate business jousting. BMW will be introducing the new i sub-brand of vehicles, which will initially include the i3 and the i8. 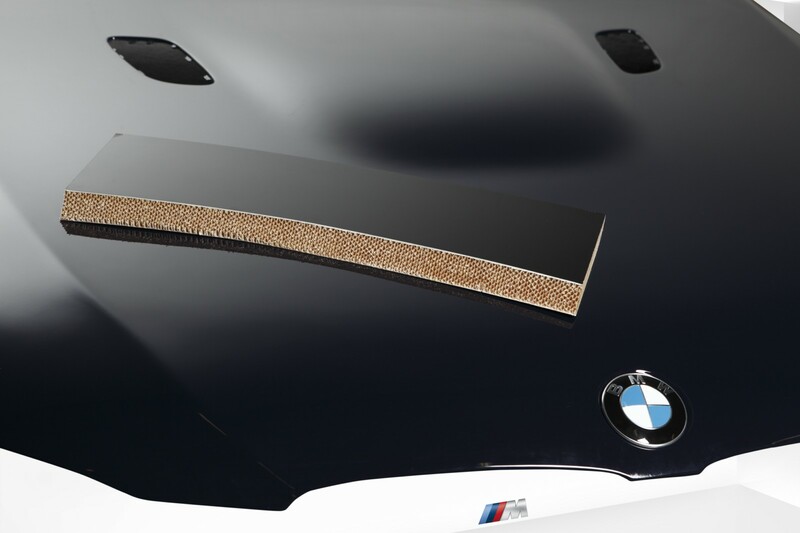 These vehicles incorporate a lot of CFRP (carbon fiber reinforced plastic) and are the first generation of a new breed of car design on the cutting-edge of automotive materials and technology. It comes as no surprise then that Volkswagen, a giant in the automotive industry, wants a piece of the carbon fiber pie. The year was 2011 and with SGL Carbon being the only European manufacturer of high-end CFRP, all eyes turned to them. VW had carbon dreams and owned an 8.18% stake in the company while BMW sat on a 15.7% stake. Meet Mrs. Suzanne Klatten, Germany’s richest woman and daughter of legendary BMW royalty Herbert and Johanna Quandt. When Mr. Herbert Quandt passed away, Suzanne inherited a 12.5% stake of the BMW Group and in 1997 was appointed to the supervisory board. Aside from being worth $14.6 billion as of 2011 and being the 44th richest person in the world, Mrs. Klatten also happens to own just under 27% of SGL Carbon via her Skion GmbH holding company. An exclusive partnership between SGL Carbon and the BMW Group. It was only natural that Mrs. Klatten would leverage her 27% stake in SGL Carbon to BMW’s advantage. Her say plus BMW’s previously acquired 15.7% stake ensured BMW that SGL would be waltzing to a Bavarian tune. And because Mrs. Klatten owns her stake of SGL Carbon via her Skion holding company and not directly through the BMW Group, this means they can avoid having to make a mandatory takeover offer. Check. Summary? By securing influence over SGL Carbon, BMW has access to all the cost-efficient manufacturing of carbon material they could ever have hoped for. This also meant that VW lost their battle against BMW for carbon supremacy while simultaneously giving the new BMW i sub-brand all the more reason to forge on thanks to the new partnership. Checkmate. This is also why the new plant in Moses Lake, WA is being built. It’s good to be the king! Unless of course, your king was just strategically checkmated. That’s it for Part 2 of this week’s Empire BMW series. Next week in Part 3 we’ll be wrapping things up by looking at the sporting aspect of BMW’s involvement and their influence on shaping tomorrows vehicular superstars. Thanks for reading and remember to share your thoughts below!